AvL's 1.0m vehicle-mount / drive away SNG antenna systems offer strong performance in a small, lightweight and low-profile package. The 1.0m antenna systems are designed to exceed the highest global performance expectations. 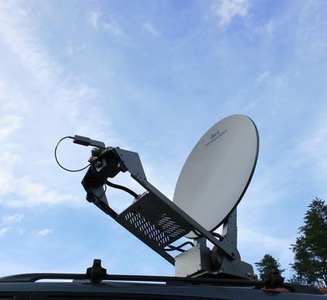 Vehicle-Mount SNG Antennas are more precise and robust than mobile broadband antennas. Used for high data rates using high power amplifiers (HPA), they can be mounted on vehicles ranging from a medium SUV to a large box truck.